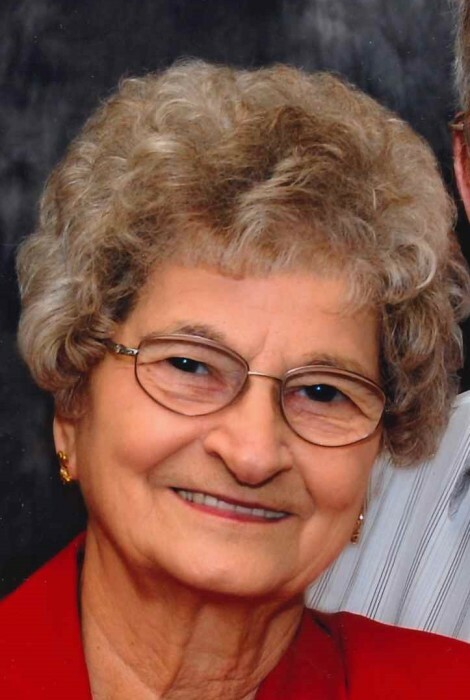 Kathleen R. Franklin, 80, of Antwerp, passed away at home Wednesday, March 14, 2018. Kathleen was born in Antwerp on June 15, 1937, a daughter of the late Helen (Perl) and Joseph Derck. She retired from General Electric after 30 years of dedicated service, was a Buckeye & Reds fan. She enjoyed collecting pedal tractors with her husband but her true devotion was to God, her family & church. Kathleen will be sadly missed by her husband, Vaughn whom she married June 18, 1955; children, Melinda (Tim) Peffley, Kathleen (Joe) Smalley, Susan (Steve) Arnold, Janean (John) Shannon, Alan (Rinda), Greg (Carol), Steve (Marsha) & Jeff; siblings, Beth (Bill) Hammond & Steve (Nancy) Derck; 25 grandchildren, 30 great grandchildren & one on the way. Her siblings, Mary Lou Kemerer & Jerry Derck have passed away. Funeral mass is Tuesday, 10 am Divine Mercy Catholic Church, 303 Monroe Street, Antwerp. Viewing is Monday, 2:00 - 7:30 pm with a vigil service at 7:30 pm at Dooley Funeral Home, Antwerp, where viewing will also be Tuesday, 9 - 9:30 am. Memorials are for masses at Divine Mercy 417 N. Main, Paulding, OH 45879 or Organization for Autism Research 2000 N. 14th St., Arlington, VA 22201. Flowers and other tributes may be delivered Saturday, 9 am to 12 Noon; Sunday 9 am to 12 Noon or Monday 9 am to 11:30 am to the flower delivery entrance.